Growing up, I always wanted to go to Disney World and never got the chance. During my junior year of college, the campus newspaper went to Disney World for a journalism convention. During the convention, I was able to spend some time at MGM Studios (now Hollywood Studios) and Epcot. Just being immersed in that little bit of Disney, I was hooked. The next summer, I went back for my first real Disney vacation with some friends. Ever since that trip, Disney World has always been my favorite place to go. When my husband and I got married, we didn’t have to research honeymoon destinations, we already knew we wanted a Disney World honeymoon! In 2004, our twins were born and I joined the local Mothers of Multiples club. 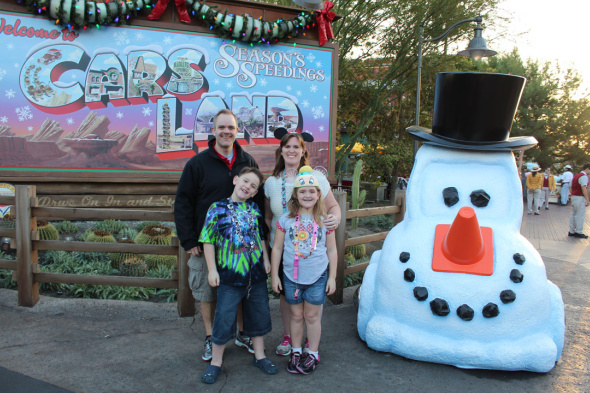 During one of our meetings, in 2007, Melissa Slamb (Magical Vacations owner) came and spoke to our group about how easy it is to travel to Disney destinations with children. I went home that night and told my husband all about the meeting and that it was time to take the kids to Disney World! I called Melissa and booked at trip for that December. The twins were 3 years old when we went. It was a wonderful trip! My mom, brother and a family friend went along with us. We stayed at Pop Century and had a blast! I remember getting choked up when it was time to leave. It was so fun to see the magic of Disney through my children’s eyes. Doing something that I had always dreamed of being able to do as a child. 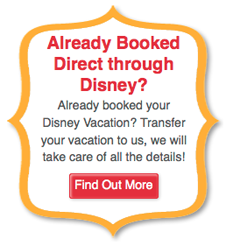 After that first family trip, we have gone to Disney World every year since! I love that my kids are growing up Disney!! We have had the pleasure of staying at the Yacht Club, the Beach Club (many times) and at Bay Lake Towers at the Contemporary Resort. We have been able to go to Mickey’s Very Merry Christmas Party, Epcot’s Candlelight Processional, Mickey’s Not So Scary Halloween Party, Epcot’s Food and Wine Festival and Epcot’s Flower and Garden Festival. Each of these events have given us memories to cherish for a lifetime! 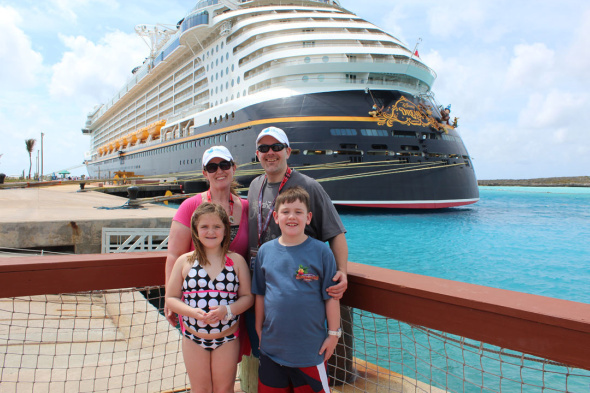 We have also had the opportunity to take our family on a Disney Cruise. Our first cruise was when our kids were 6 years old. We embarked on the 3-night Bahamian Cruise aboard the Disney Dream. We have our next cruise booked and are anxiously awaiting the date! Our latest Disney trip was going to Disneyland for Thanksgiving. We had a blast! It was an awesome feeling to be at the place where Walt Disney started it all. And to top it off, we had our Thanksgiving dinner with Goofy and his pals at Goofy’s Kitchen! I love discovering all that Disney has to offer for my family and would love to help your family plan and discover the magic of Disney! Make sure to put VALERIE in the agent request box! When we first started to look into a trip to Disney we were feeling overwhelmed. We are given the name Valerie W (Magical Agent) from a friend. She worked out all of the details and made the entire process a joy. WOW! what a relief! Every detail was addressed in advance and the trip went off without a hitch. Thanks Valerie, YOU are Magical! Valerie! 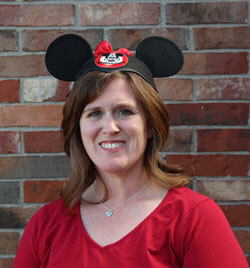 Just want to say thank you for all you did to make our Disney Vacation such a “magical“ time! All the tips and help you gave us beforehand really helped each day go smoothly! I’m so thankful you reserved all our fast passes as some of the lines were very long and it was so nice just to walk up and not wait 45 minutes or so!! My family loved all the restaurants you picked for us and thought the food and atmosphere was wonderful! My girls like Chip and Dale so the Garden Grill was fun and of course having dinner with Cinderella and Prince Charming made the conclusion to our time there very memorable! Those stepsisters are crazy!! Valerie, everything was just perfect and such a relaxing time knowing everything had been taken care for us and we could just enjoy being at Disney World!! We did get to see Jasmine and Aladdin at Epcot – we were second in line to see them! My oldest was very happy! Taylor enjoyed having everyone tell her “Happy Birthday” and getting to see Baymax! We did take sneak peaks at some of the princesses which was fun – don’t think we have ever seen Merida up close before! Again, thank you for making this a wonderful family time! We ended up getting the Memory Maker as we had some great shots on some of those rides that we just couldn’t pass up!! Plus, we plan to make Christmas cards from the photo in front of the castle!! If and/or when we go again, I will give you a call! !